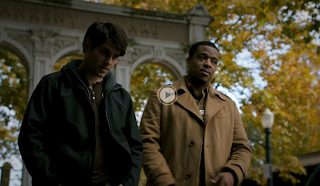 Grimm Episode 10 "Organ Grinder"
On this week's episode: "Nick and Hank investigate the murder of a teenager, and the stakes are raised when two vagrant teens are abducted." 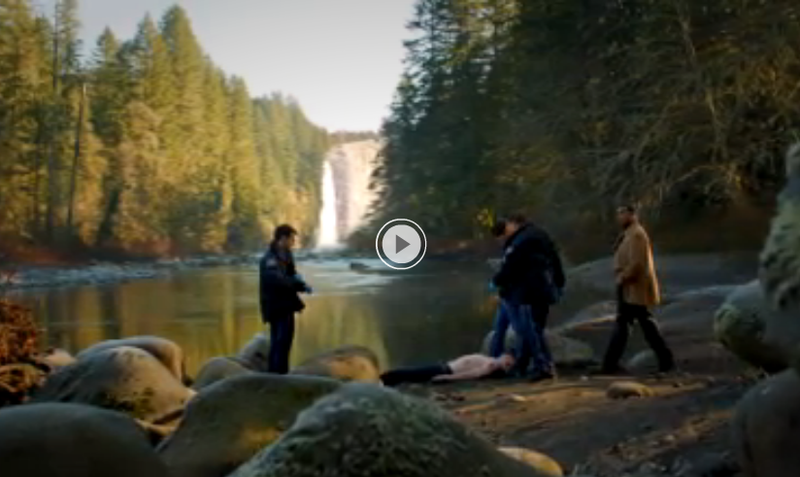 The episode opened with another dark, wooded forest chase, this one leading to a crime scene in a river with a waterfall backdrop. I'm not sure where in the Gorge this particular waterfall is located. Is it real? Anyone recognize it? 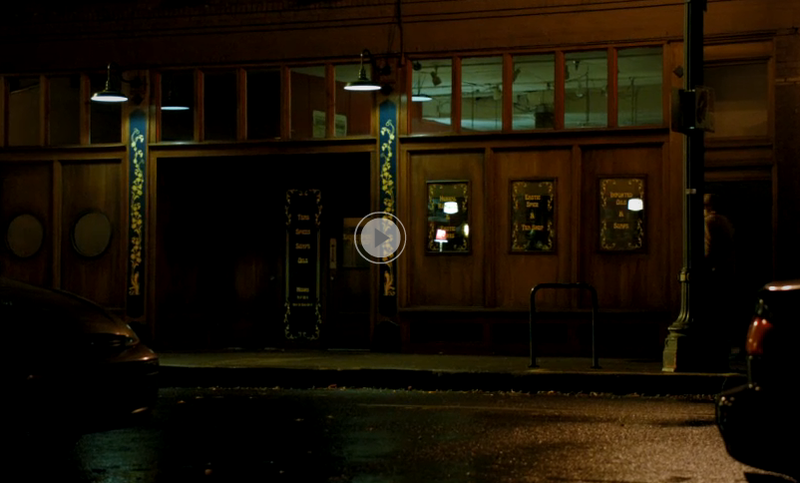 Sandy, OR was also a location for filming in Episode 4, "Lonelyhearts". 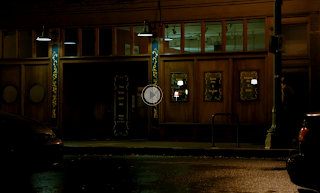 Most of the rest of the scenes were filmed in Old Town / Chinatown. The Grimm film crew camped out in the parking lot of 4th & Davis (in front of Davis St Tavern) during the 2nd week of November. Post Office: The detectives visit a post office downtown where they learn the location of the streetgirl who sells bracelets. Saturday Market area: We see various (sunny) shots of Ankeny Square and the Skidmore Fountain where the streetkids hang out. Folter Clinic - a fictitious "free clinic on 15th"
These scenes utilized the historic Rich Hotel building at 205 Couch. The Innovative Housing site has some photos of Rich Hotel building renovations, as well as a few from Grimm filming. Oregon Leather Company sign - According to the Vintage Roadside blog, this sign was actually restored for the filming. A dark rainy lot where the streetkids are abducted by evil health clinic workers. Registration to a "Smartcar in Tillamook" - Are there Smartcars in Tillamook? Highly doubtful there are many, but hey. Griffin gets an address from the phone of the driver of the accident. How many of you google map-ed this address to find this plausible, yet non-Streetview-able, rural location 15 miles north of Hillsboro? 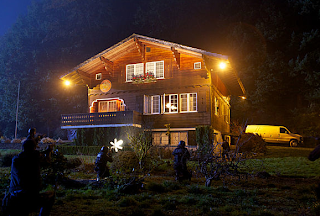 Following the theme of Hansel and Gretel, this terrible place of organ harvesting is the Witch's House. Instead of breadcrumbs, our characters, Hansen and Gracie (Daryl Sabara and Hannah Marks), leave puka shells to mark their path. The streetkid characters on the show are from Pocatello, ID and Cody, WY. 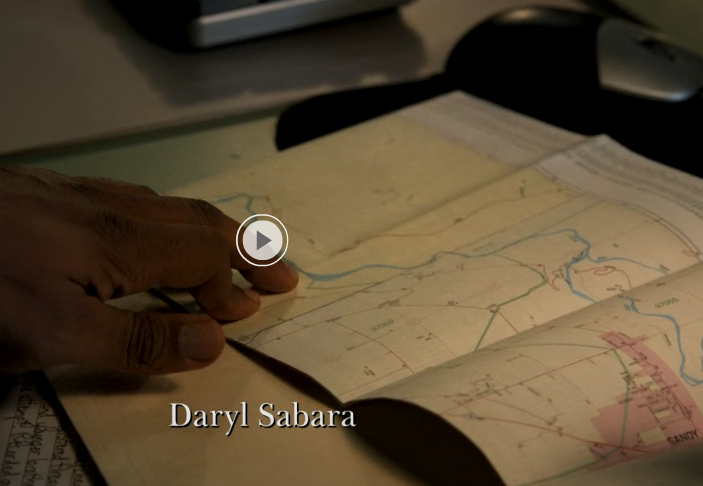 I've come to anticipate a Portland Bridge highlighted within the first few minutes of the show, but it was absent this week. 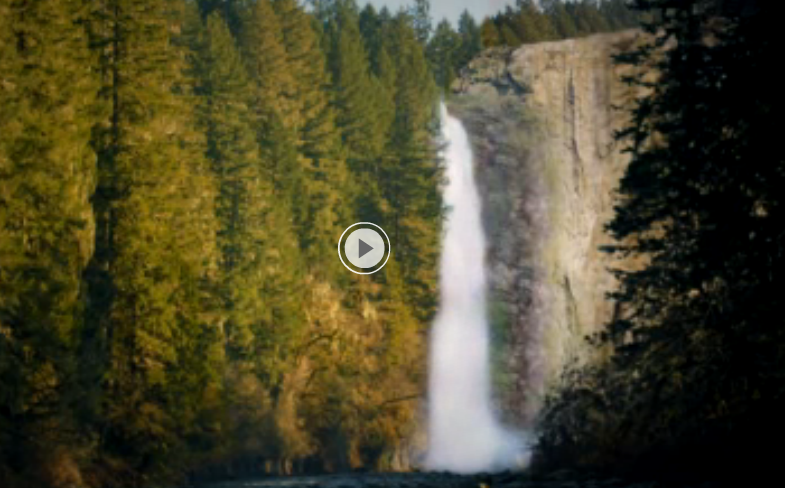 However, scenic Oregon was still prominently portrayed in this episode. I can't track down that waterfall either! So frustrating. So I bought a bed frame from EuroClassic Furniture here in PDX today. 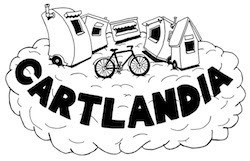 The owner told me that "now only 2 people in portland have those bed frame set". He continued to tell me that Nbc was at the store and purchased the same set of ornate carved furniture.They will be using in house scene in Laurelhurst neighborhood. Early 2014 I will be looking for this.